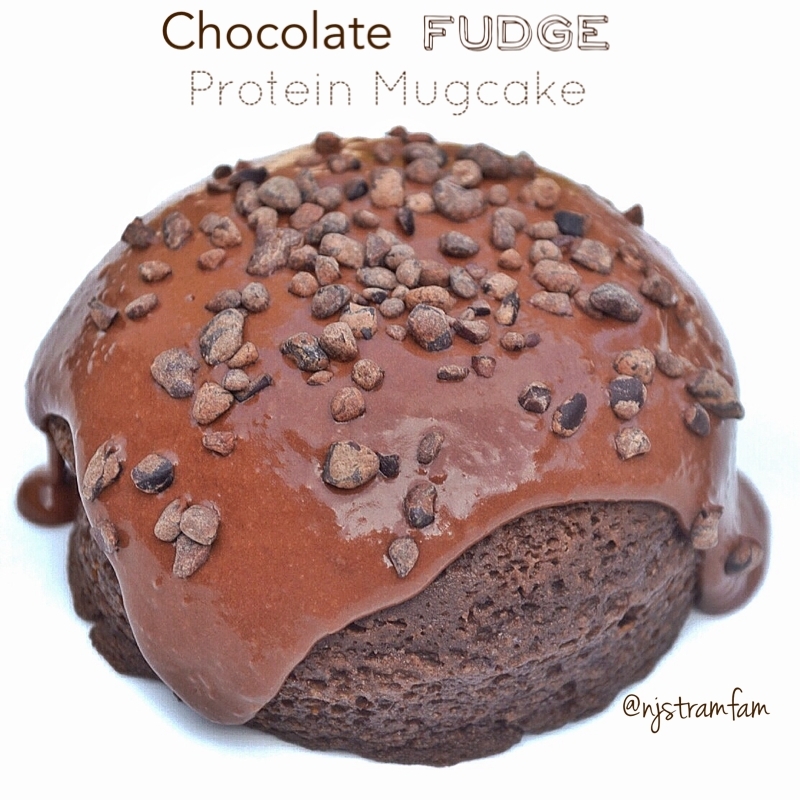 Rich, decadent chocolate protein mugcake that is quick, delicious, and healthy!! You won't believe that this treat isn't as naughty as it looks. 1.) Whisk together flour, protein powder, cacao powder, stevia, egg whites, pumpkin puree, 2 Tbsp. almond milk, vanilla extract, and baking powder in a small bowl until batter is smooth. 2.) Pour mugcake batter into mug or bowl sprayed with non-stick cooking spray. Microwave for 1Â½ minutes or until mugcake is cooked completely. 3.) To make chocolate sauce, combine pudding mis and 2 Tbsp. almond milk while slowly adding water until desired consistency is reached. 4.) Once mugcake is cooled, top with chocolate sauce and cacao nibs.